It’s January. You’re feelin’ blue. Here’s what to do. The January Blues. Sounds like a smooth and sultry group of musicians doesn’t it? Or perhaps an intense dramatic feature film about a bunch of passionate cops in some troubled city, at some time, during the month of January. But these things it is not. Feeling blue in January is all too common an affliction, felt by many of us as the new year looms into existence. The condition of being “blue” at this time includes feeling depressed, disillusioned, and altogether glum. More a darker shade of gray than blue to be honest. In the wake of holiday excesses, where late night revelry and an abundant consumption of food & drink, along with fevered shopping and a hundred other things has left you in a void, now is the time to do something about it. And the answer is surprisingly simple. Come to Gastown. Gastown is a special place teeming with all sorts of beautiful colours to see and places to go. Like a great coral reef, the neighbourhood has its wide open thoroughfares, busy and bustling away with daily life, and it has its hidden nooks and crannies, where many treasured microcosms thrive in their own unique way. It’s really all yours to discover. Simply allow the experience of Gastown to work its magic upon you, to turn that January frown, upside down. A walk can be incredibly restorative. Quietly strolling along without an agenda, alone (or if you’re an extrovert, with friends), can lift the spirits and renew hope that all is well. 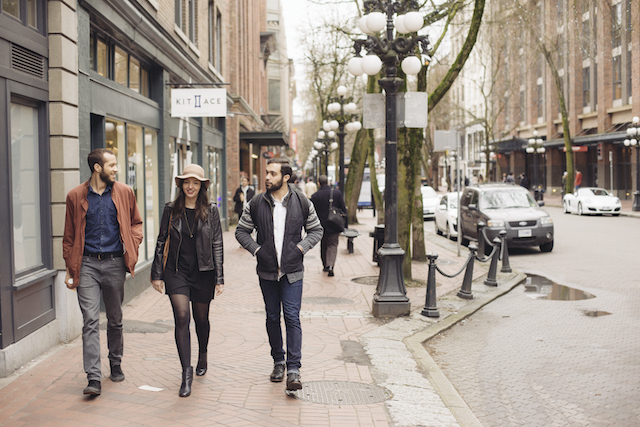 Gastown is a great place to explore by foot. Enjoy the architecture, the variety of shops and restaurants, and the layers of history throughout. Take your time, savouring the moment, and perhaps practising gratitude for the ability to be able to walk. Dancing is something that anybody can do, and everybody knows how to do it. All you have to do is just move your body. it doesn’t have to be exactly in time to the music, nor does it need to award winning by any standard. The act of dancing is a release. Dance can be found in most cultures throughout the world. It is a vehicle to express oneself and their culture, rooting the spirit to the earth then transcending it. 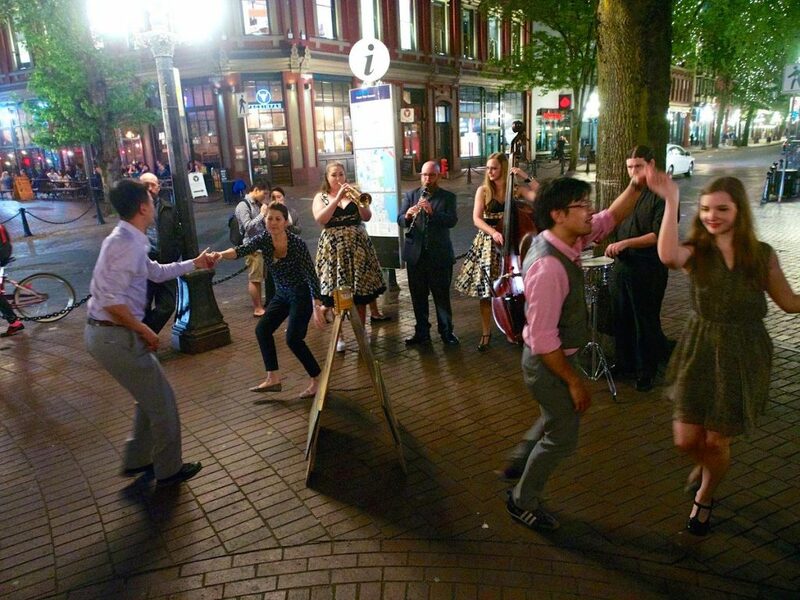 There are plenty of awesome places to dance to DJ’ed music in Gastown, along with opportunities to hear live music. Guilt & Co. has live music and talent 7 nights a week, with often an early and later show. Pourhouse hosts its live music series, Sunday to Thursday starting at 8pm. 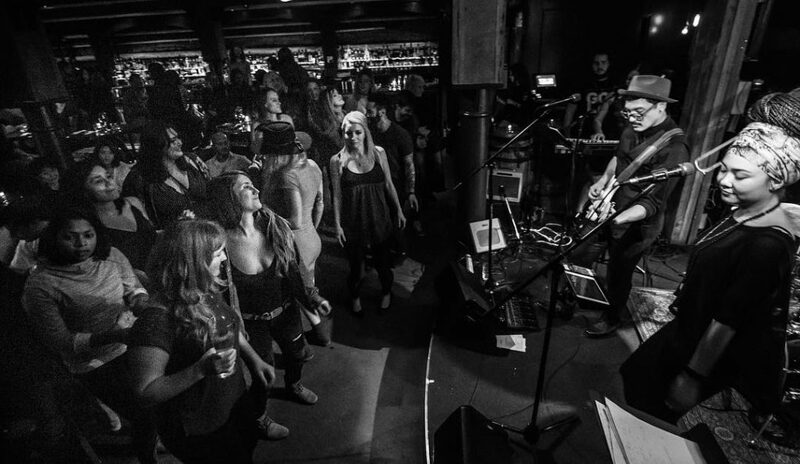 The Revel Room is one of the top live blues, swing rock and country music venues in Vancouver. The Blarney Stone hosts live music Friday to Sunday. You can also find live music at The Lamplighter, The Cambie, and the Irish Heather. For renowned local and international DJ’s banging out solid house music, check out MIA. The Portside Pub is a great place to go with friends, and there’s plenty of Dj’ed music to groove to every weekend. The Charles Bar is another fun place to hang out at with Dj’d music on various nights of the week. The Bourbon and The Metropole are great on a budget and of course, have dance floors and Dj’s spinning. Games are far more than just the pastimes of carefree children. They are a way for people of all ages to escape for a while, to focus, to interact with each other, and most importantly, to have fun. 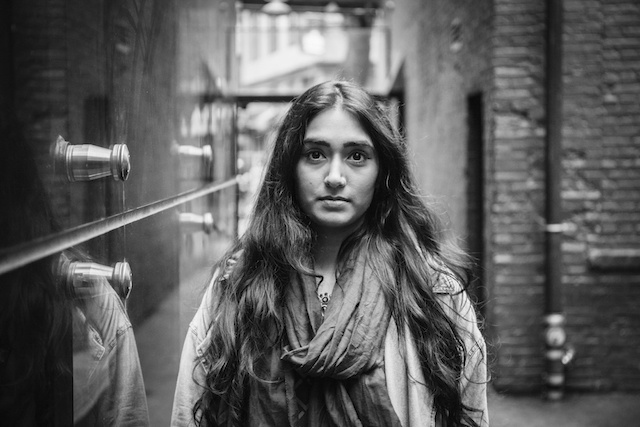 Life must not be so serious and in Gastown, there are plenty of options for play. 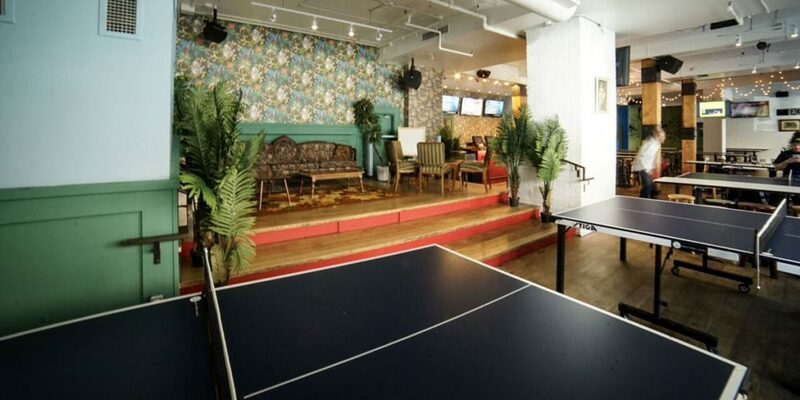 The Back And Forth Bar is comfortably decorated with couches and palm trees, and there are a number of video game consoles hooked up to TV’s along with a bunch of ping-pong tables. The Lamplighter Pub is home to around 9 fantastic pinball tables that change theme every few months. 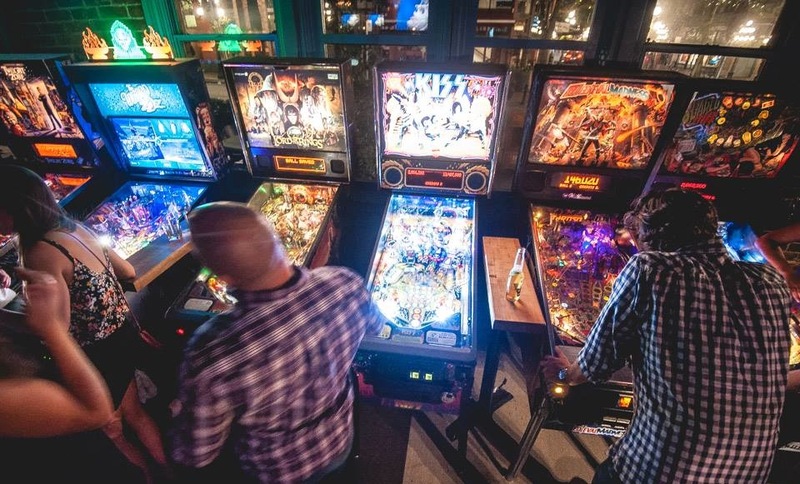 Every table is free to play each Wednesday from 7pm on for their weekly event: Replay Pinball – Canada’s largest free weekly pinball tournament Hosted and DJ’d by Mary Mac. The Metropole Pub is another pinball hotspot with a collection of around 7 tables. 131 Water Kitchen & Bar has an impressive collection of over 100 different boardgames to game-away the dark and dreary nights of January. Looking for some positive vibes for the New Year? 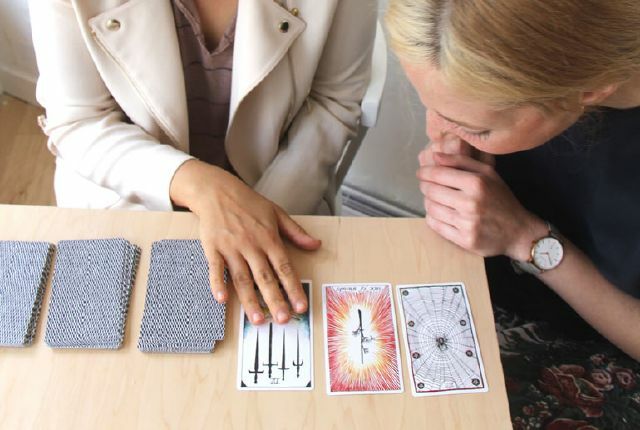 The Good Spirit offers tarot readings guided by intuitive spiritualists, trained in the art of prognostication. 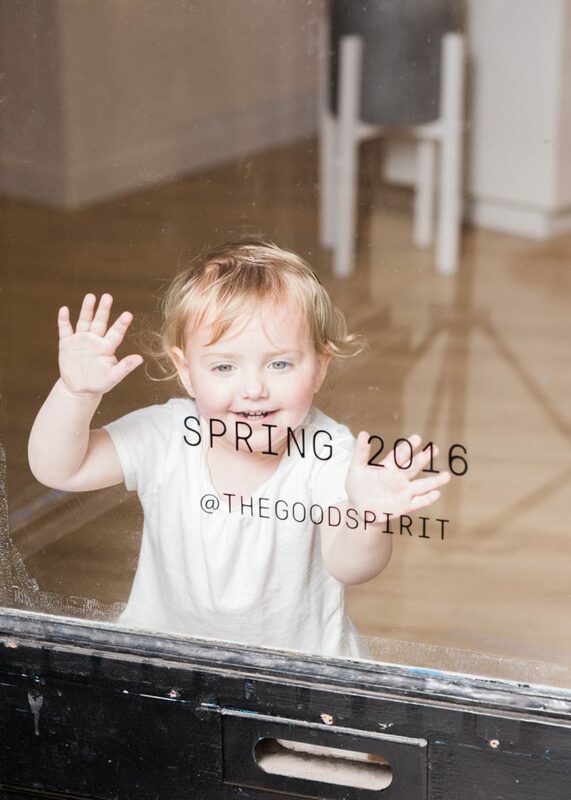 Located on Cambie Street, this metaphysical boutique is open, airy and full of white light. Take a seat by the window, allowing the warmth of the sun to open you up to the voice from within. Sessions are metered out into 10,20, and 30 minutes. Book online here. Yes to neon. No to safety vests just for the fun of it. Grey tones seem to be popular in Gastown. Black is also a winner here. During the low of January, try going for a colour that’s off season yet pleasantly uplifting. 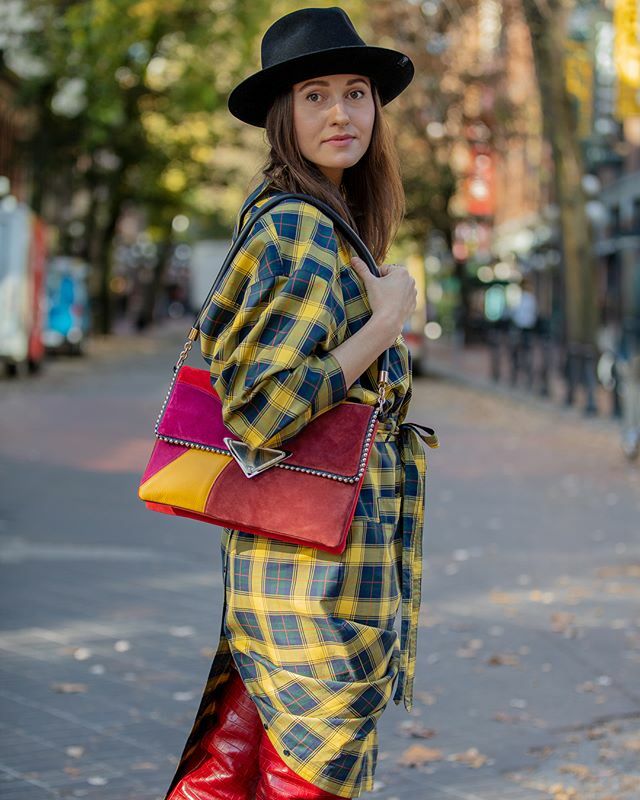 Colour science proves that fashion (and colours) are strongly linked to feelings (and moods). The following colours can result in creating positive effects to your feelings and overall level of positivity. A classic V-neck style, this jumper is made from a dense merino-wool blend knit with added stretch for comfort. Cut for a relaxed, pull-on fit, it has dropped shoulders and tightly ribbed trims. 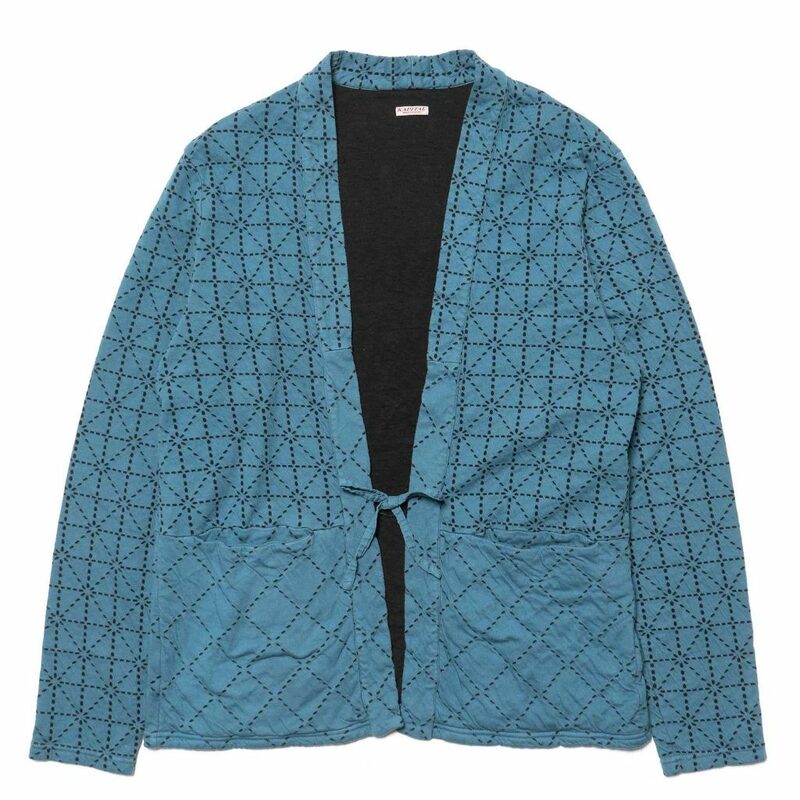 Haori-styled cardigan in dyed cotton. ‘Sashiko’ embroidery throughout. Waist ties at front placket. Two deep inset pockets at front. Made in Japan. 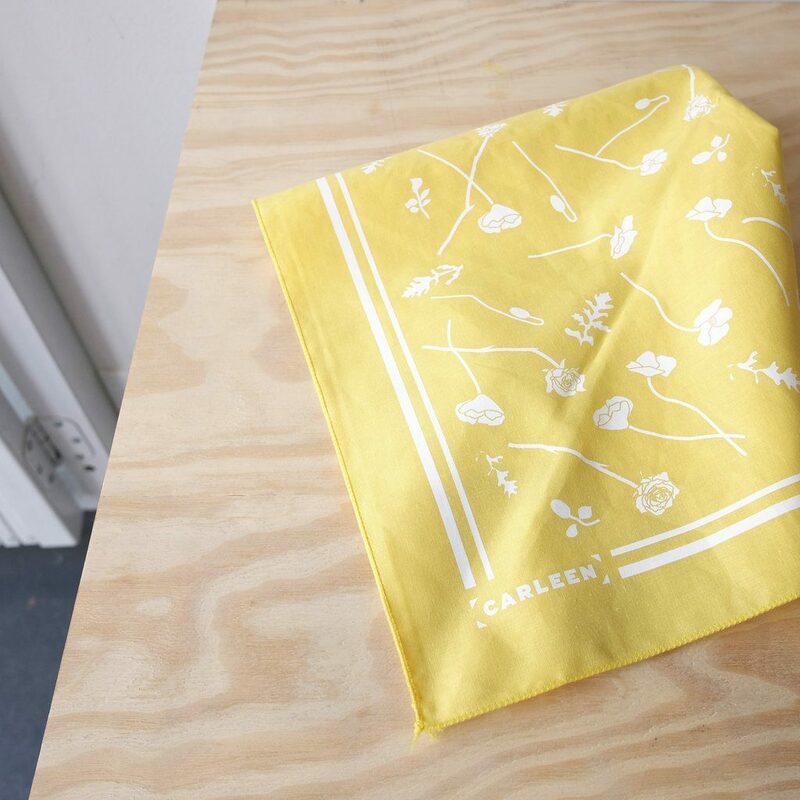 This design from CARLEEN features both the California and New York state flowers (poppies and roses respectively). Perfect for anyone who spends a lot of time on cross-country flights (or wishes they were on cross-country flights more often). 100% Cotton. Made in the USA. The Camper Top is our new favourite go to for fall/winter. 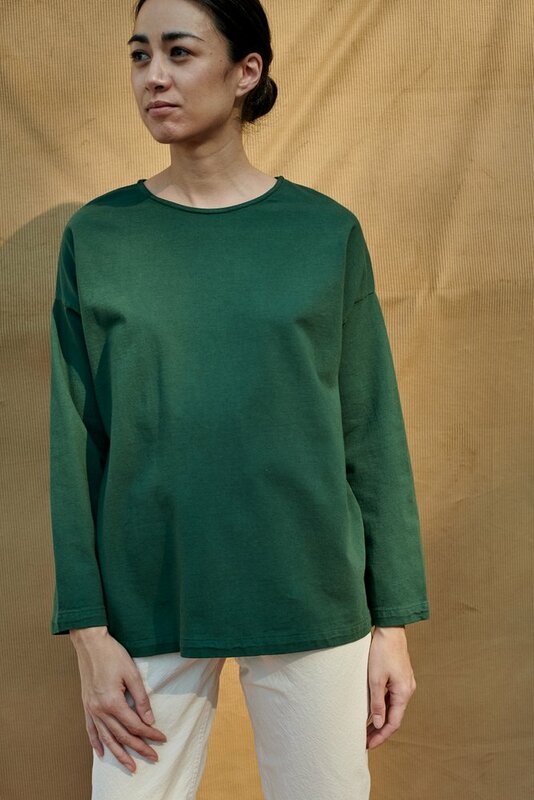 Thicker than a regular tee shirt, it’s round neck, dropped shoulder and relaxed cut make it easy to wear again and again. 100% Fine Cotton Knit. Made in California. Complete with a turtle neck has a brushed interior that’s super soft against your skin and four-way stretch that moves with you. Plus, it’s detailed with long length for coverage and warmth. Not yet convinced? Stay tuned for Part 2 where we discover even more Gastown blues busters!